When it comes to weddings the one thing we love to stalk more than the dress is the flowers. After Meghan Markle and Prince Harry set the trend for white and green floral wedding arrangements, it seems there’s a new flower in town that chic brides everywhere are using to adorn their big day. Enter gypsophila, or ‘baby’s breath’ to you and me. Masses of tiny white blossom buds in whimsical clouds of green stalks, baby’s breath is the seriously Pinterest-worthy flower coming to a modern wedding near you. 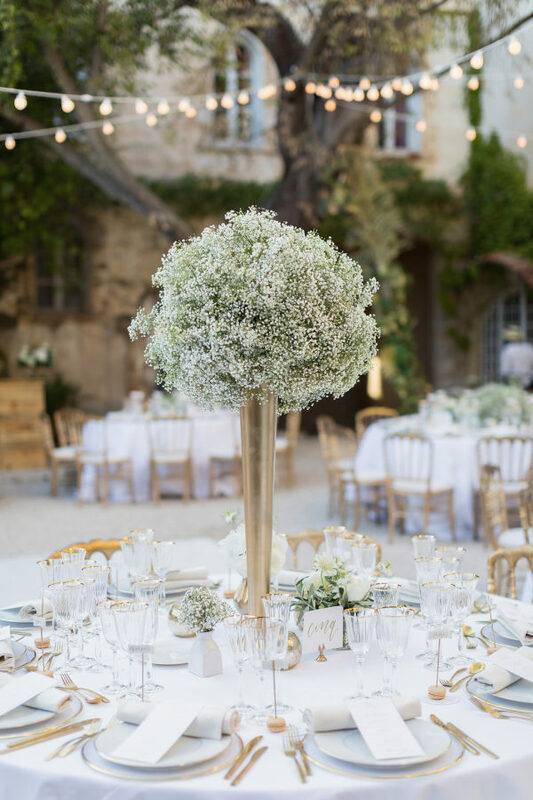 Gypsophila aka baby’s breath is a great flower for weddings because not only does it look romantic and dreamy, but it lasts all day and it’s extremely cost effective. Keep things pretty and modern by using it on its own, without any other flowers at all. It looks amazing in big balls or in more abstract shapes. 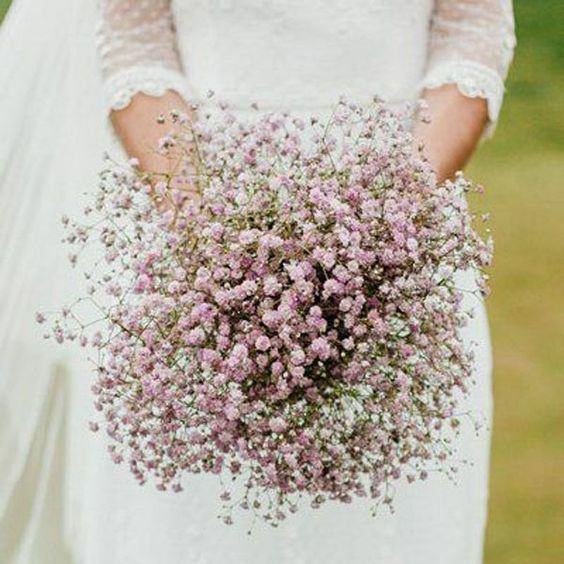 There are loads of different types of gypsophila, so if you want slightly different colours opt for a naturally occurring pink variety, or one with a more grey tone to it. Leave the dyed baby’s breath alone. It’s great for brides who want flowers that are a little more on trend or cutting edge, but remember your wedding photos are there for the rest of your life – do you really want a rainbow bunch of gypsophila in them? A delicate sprinkling of the tiny white blooms in our wedding hair adds a modern nod to traditional bridal flower crowns without distracting from the overall look.